LAS VEGAS, NV--(Marketwired - July 09, 2016) - Sedona sits nestled in a geological wonderland with sweeping multi-colored landscapes that will take your breath away. The high desert floor creates a playground for light, changing the colors hourly and making everything magical. 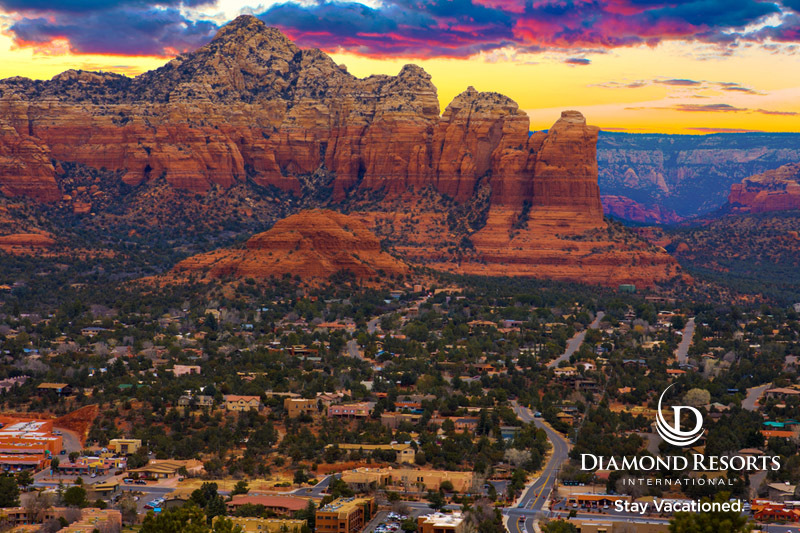 With 1.8 million acres of national forest surrounding Sedona, the recreational activities abound with hiking paths, biking trails, Jeep® tracks, spires, buttes and domes all while being close to town. Here you will find fine dining, wine tasting rooms, spas and golf courses. As one of the world's largest vacation ownership companies, Diamond Resorts reviews two properties in the healing valley of Sedona -- Los Abrigados Resort and Spa and The Ridge on Sedona Golf Resort. The area offers so much to its visitors it is no wonder people come back year after year. Both Diamond Resorts International® locations allow a visitor to choose a favorite course of relaxation. The Ridge on Sedona Golf Resort provides for an opportunity to take on a challenging course right outside your room. Guests can meander over for a tee time on the 18-hole course. Surrounded by the desert landscape and endless sun, it is a unique golfing experience. After an exciting day on the course, guests can relax in a studio, one-bedroom, or two-bedroom condo from the 236 available suites, with a walk-in shower, jet tub and a full kitchen. With barbeque pits, a heated outdoor pool and various hot tubs there is plenty to do at the resort as well as in the surrounding area. For a relaxing escape, Diamond Resorts reviews and recommends guests to consider Los Abrigados Resort and Spa. The grounds form an oasis in the desert for peace and tranquility. Here you can be pampered with a variety of treatments, relax by the pool, read on your private balcony or take a walk around the grounds. There are 196 rooms in a variety of sizes such as studio, one-bedroom, two-bedroom, family-style rooms as well as three stand-alone houses to choose from. The concierge can assist with booking a massage, facial or any other pampering service you desire. 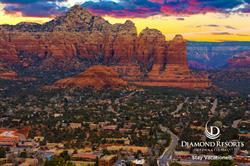 Both resorts are equally close to all that the town of Sedona has to offer. It is an active place with many options such as white water rafting, horseback riding, theater, shopping and adventure out on the trails. With a rich Indian history, many still believe Sedona has special healing powers for both mind and body.